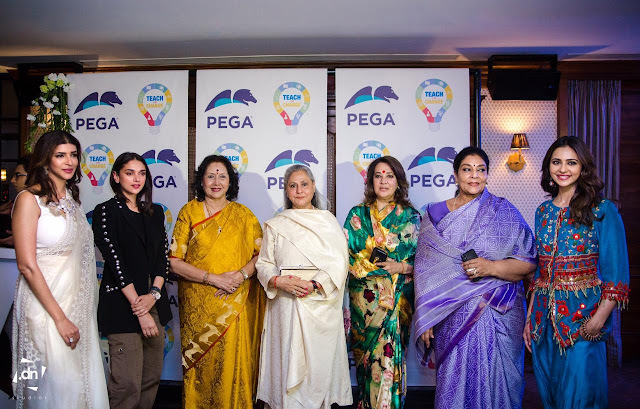 Pegasystems Inc. the software company empowering digital transformation at the world’s leading enterprises, and Teach for Change a non-profit organization founded by Lakshmi Manchu, developing literacy and leadership skills among under-privileged children, today jointly announced the national expansion of their literacy program to bring quality education to millions of school children (grades 3-5) across primary government schools in India. The ‘Teach for Change’ movement collaborates with state governments to improve the literacy rates and life skills of primary school childrenin municipal schools. It was founded by Lakshmi Manchu in 2014 and aims to achieve the United Nations Sustainable Development Goals (Goal 4 is Quality Education). The programme, already present in Hyderabad, Bengaluru, Vijaywada and Vizag, will now expand to Mumbai, New Delhi, Chennaiand Lucknow, successfully operating in eight cities.Thousands of committed citizens across cities volunteer to teach children in their neighbourhood government schools. With this, the goal of the literacy program is to positively impact 1,50,000 children across 1,000 schools in India.